According to the Bowls Tasmania website (http://www.bowlstasmania.com.au/), “Lawn Bowls is the game that takes a second to learn – but a lifetime to master.” It requires great concentration and precision, but is enjoyable at the same time. Some people tend to think of lawn bowls as an old person’s sport. While it’s true that older people do play it, younger people do too. The Australian Bureau of Statistics says that there were 245,000 Australians aged 15 years and over playing it in 2012. I recently played a game of barefoot bowls at the Rosny Bowls Club. Some parents brought their children along so that they could learn to play at a young age, and if they enjoyed it, they could continue with it. I overheard people saying how good it was to see kids learning how to play it. 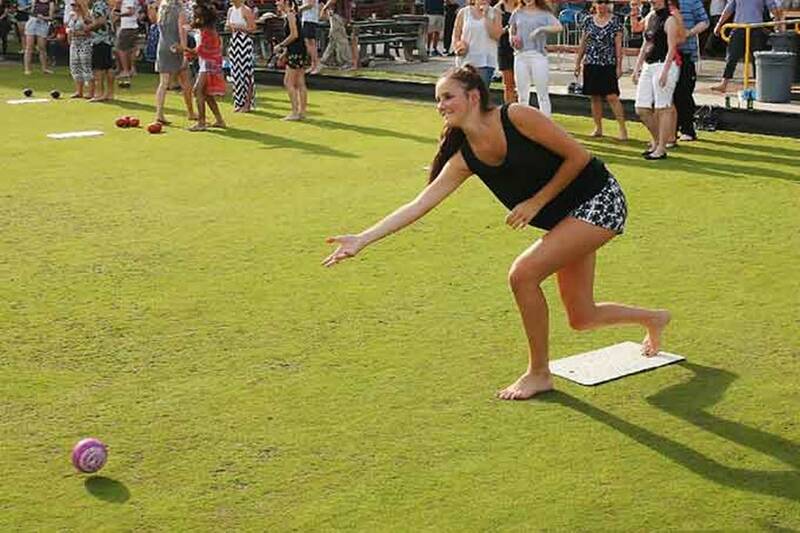 I think it’s important to introduce lawn bowls to young people. Not only will it increase the chances of strengthening clubs that are struggling, it will also provide them with a range of benefits. The Better Health Channel website says that lawn bowls “is a low-impact, therapeutic exercise that can improve fitness, coordination and confidence” (https://www.betterhealth.vic.gov.au/health/healthyliving/lawn-bowls-health-benefits). Specifically, it can keep you fit; improve your coordination skills; and help you gain confidence. It also increases social interaction. The aim of lawn bowls is to get bowls as close as possible to the Jack/Kitty. Place your feet together. Bend your knees and waist a little. Hold the bowl in your preferred hand. Take a step off the mat with your opposite foot. Bend down, take a small back swing, and roll the bowl along the ground. (Adapted from the Bowls Tasmania website (http://www.bowlstasmania.com.au/sample-page-2/) and ABC Online (http://www.abc.net.au/local/stories/2013/11/29/3901705.htm)). Rink: a flat grassed area on which the game is played. Centre line: the line that runs down the middle of the rink. Jack/Kitty: a small white or yellow ball that is rolled down the centre line. Bowls: the balls that are used during games. They are made so that they curve as they roll down the rink. Mat: placed on the centre line. Players have to stand on it to bowl. (Adapted from ABC Online (http://www.abc.net.au/local/stories/2013/11/29/3901705.htm)).